Industrial Plant – Metro Hydraulic Jack Co. Sales & Repair of a complete range of Hydraulic, hydraulic jack equipment & Specialty tools for In-Plant Maintenance, Construction, Utilities, Transportation & Railroad applications. 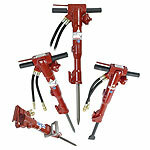 We at Metro Hydraulic have the expertise to specify the proper tools needed to get the job done. We are capable of fabricating custom systems using standard catalog product which enables our customers to work more efficiently at less cost. Our repair facility is Factory Authorized for most of the manufacturers we repair. A global leader in high-force tools & equipment used in industrial and construction markets. Enerpac has a complete line on hydraulic pumps up to 40000 psi, cylinders up to 1000 ton, presses, cutters, pullers, torque wrenches and bolting tools. They also specialize in machine tool clamping applications & engineered lifting systems. A complete line of hydraulic pumps, cylinders up to 1220 ton, mechanical & hydraulic pullers, nut splitters, presses & shop equipment. A complete line of hydraulic pumps, cylinders up to 1000 ton, ratchet lever jacks, screw jacks, rotary actuators & railroad equipment. 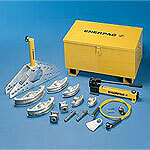 Hydraulic pumps, cylinders, valves, jacks & accessories. 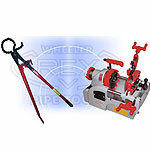 A division of Cooper Tools specializing in Hydraulic & hand cutters. A complete line of pipe tools; cutters, threaders, hydrostatic test pumps, trash pumps, plastic pipe tools, drilling & tapping tools and crimpers. A full line of steel cable connecting and cutting tools and cable-related products for the Utility market. 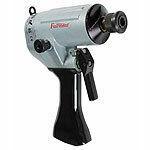 They specialize in safe, dependable, state of the art hand and battery operated tools. 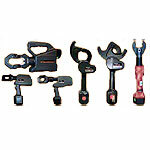 Electrical Contractors tools, equipment & Supplies. A full line of tools for electric utilities, public transportation and maintenance departments, agriculture, and the construction industry. Greenlee Utility products include chain and circular saws, tree pruners, cable cutters, pullers, crimpers, post and rod drivers, tampers, pullers, augers, rotary impact hammers, drills and wrenches and concrete breakers. 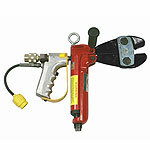 Impact & Hydraulic cutters for wire rope, copper & aluminum wire strand, ACSR & cable.